Some of the organizers of the protests in Serbia are faced, as they say, with physical attacks. Vladimir Petkovic, journalist and one of the protest leaders in Zajecar, eastern Serbia, has been attacked today. Zoran Jovanovic, professor at the Faculty of Philosophy in Nis, said that he has been attacked three times – each while driving his car. Petkovic told local portal Glas Zajecara what has happened. “I was walking in the street with my umbrella opened. A man and woman were approaching. I lowered the umbrella so that they could pass. At that moment the man told me: “and now, what? Now I should get away because you are one of five million”. “I asked what the problem was”. After that, the man knocked Petkovic down and started hitting him. The attacker run away shortly after. 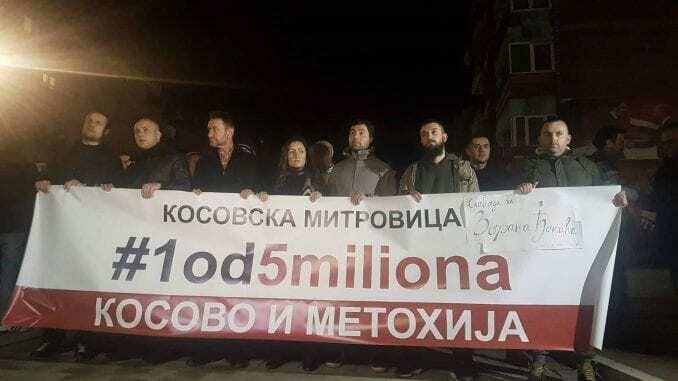 “One of five million” is one of the protest slogans, launched after president Aleksandar Vucic said that he would not meet any demands even if five million people took to the streets. Professor Jovanovic was attacked by a masked person on Sunday evening. As he told Danas daily, the rider of the motorcycle tried to push his car off the road, ‘threatened him to stop and exit’ the vehicle. He showed his fist and followed the professor who was accompanied by his wife. Jovanovic said that he does not feel safe and that the incident was the third in a short period of time. During each incident, he recorded the plates from the vehicles and informed the police. However, the prosecutor office has rebuffed his demands for initiating the legal process. In a previous case, a jeep driver had threatened Jovanovic, as he said.